The hotel’s delightful dining room is distinguished by an authentic atmosphere and a fine view out over Fyrisån river. The room can accommodate 30 seated guests and is perfect for lunches, dinners or even cocktail parties. 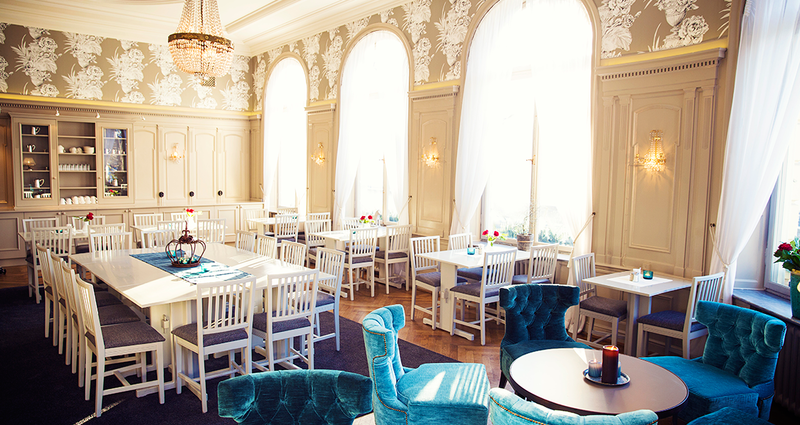 We work closely with the Eklundshofs, whose restaurant caters all our events. For reservations, please call reception on +46 18 13 93 80 or email us at info@grandhotellhornan.com.